Hey Everyone! 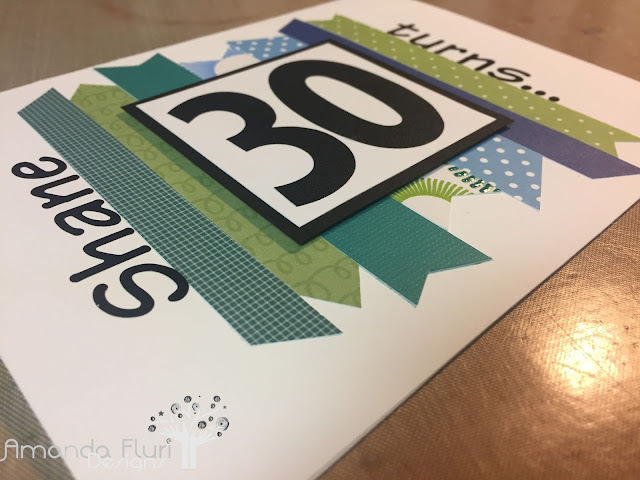 Thanks for taking the time to stop by to check out my latest card. It's been on the down low for a week now, and I am excited to share it with you. 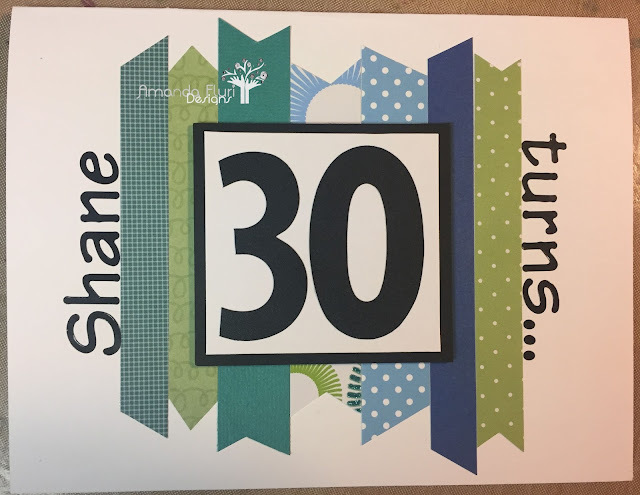 Shane (my boyfriend) knows my blog and checks in to see what I've been working on, so I didn't want him to stumble across this one until after the surprise party for his 30th is under way (which it currently is). He asked me to not do anything crazy for his birthday so I thought that it would be nice to just get family together to celebrate him all together. This is the first time that my parents are meeting his, and our siblings will be meeting. We've been together over 2 years, and I thought there was no greater way to break the ice than to celebrate Shane. 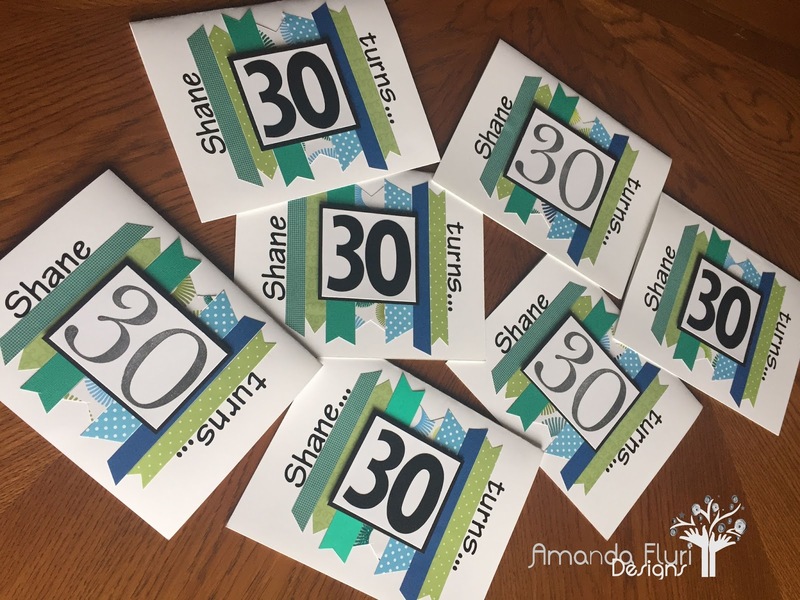 I am somewhat traditional, and thought that sending a text or facebook message/invite to everyone was super impersonal, so I thought I'd kick it old school and send out invites to his party. I am sooooooo excited with the way that his cards turned out. As you know I love to use up scraps, and believe that beautiful things can be created out of scraps that are laying around and this card is no exception. I was fairly disappointed at one point that I ran out of thick black number stickers, so I thought that I would make do by stamping the numbers on the last 3 cards. White Cardstock - used for the card base, and to stamp/add the number to.